Submitted by Simon Coleman on Tue, 31 Mar 2015 - 19:38. 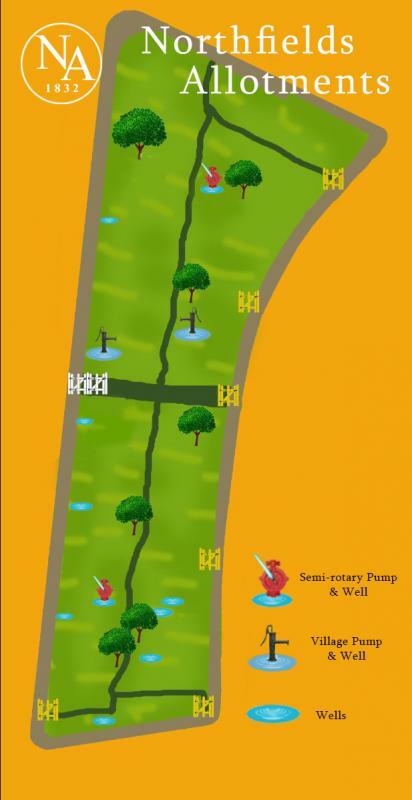 There are at present (March 2015), 12 known sites of wells on the Northfields Allotments. The current wells appear to have been created after WW2 with my belief that most of these wells were built in the 1950s -1960s. The main reason for this belief is the construction materials and current condition: The well on plot 198 is concrete and this concrete is is still in good condition. I have learnt that this well was constructed in 1957 by the plot holder. The well on plot 229 was built by a plot holder who started his tenancy in 1946. Other wells have a internal construction of metal barrels and these barrels are still intact in most cases. It is possible that there were wells before these current wells or some were adapted from earlier wells but we have no fact of this at this moment. There was a water course mention in the Tenancy agreement in 1844. the agreement states "and will keep the Quickset Hedges at all times well weeded and cleaned, and mended when necessary, and the Water courses clear, . . ." The statement regarding the water courses was an addition to the earlier 1834 tenancy agreement showing a definate decision to include this feature in the agreement. T here were known ditches running down both side of what is now Northfield Avenue which were fed via the large pond where St. John's Church now stands. 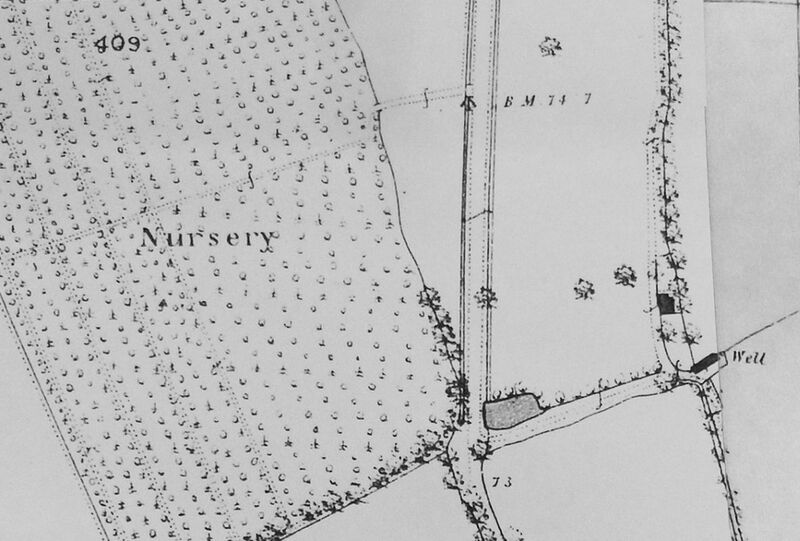 The 1832 map of Ealing Dean common show the ditches that ran down North field Lane and cut across Mattock lane. The ditch appears from the map to come inside the attoment at the top of the current site. Right shows a portion of the 1832 map.